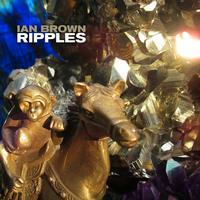 Ian Brown produced ‘Ripples’ as well as writing the majority of tracks on the album. Three of the songs were co-written with his sons, who also play a multitude of instruments across the release. Covers of Barrington Levy’s ‘Black Roses’ and ‘Break Down The Walls’ by Mikey Dread complete the album. The album was recorded in Liverpool and enhanced in the Beatles room at Abbey Road Studios, before being mixed by long-term collaborator Steve Fitzmaurice. The record was digitally mastered by Bob Ludwig in New York, while the vinyl was mastered by Chris Bellman in LA. Ian Brown has retained complete creative control of the project - producing the album, directing the video (to be released soon) as well as creating the artwork himself and playing guitar, drums and a host of other instruments throughout the record.